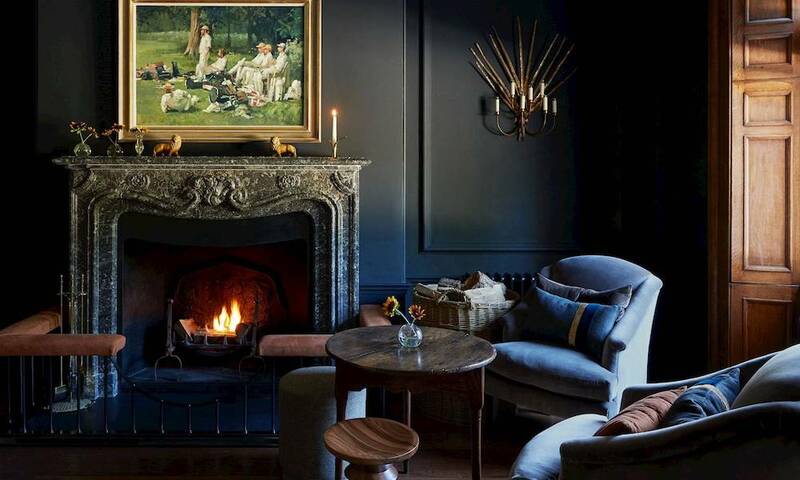 Read our guiode to the best luxury hotels near London, within 2 hours by train or car, including Coworth Park Hotel near Ascot, Four Seasons Hampshire, Lime Wood Hotel and The Pig. Set on a 400-acre estate of rolling Hampshire countryside, just over an hour from central London, the first impression you get when you walk inside is that Heckfield Place still very much feels like a home. There’s a warmth and intimacy to the place. It’s elegant, yes, and ‘proper’, but without a hint of formality. The design mixes mid-century, antique and contemporary furniture with natural, muted colours, wooden-floors, linens and Persian rugs to create a look that feels natural rather than over-designed. The attention to detail at Heckfield Place is wonderful – from check-in when you receive your room card in holders embossed with your initials to the luggage tags that make their way on your bags as you leave, also embossed with your initials. 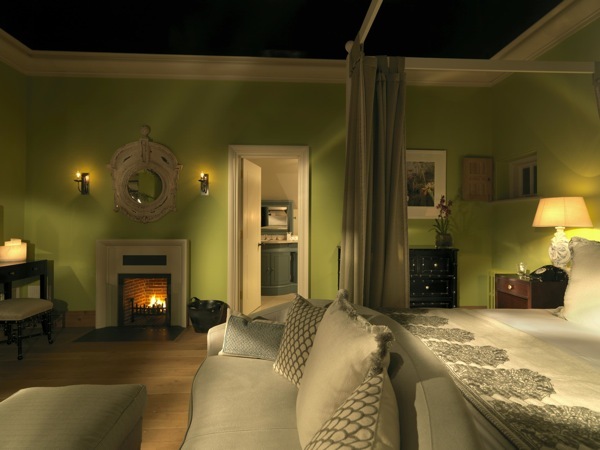 Heckfield Place is stylish, chic, homely and rather fabulous. 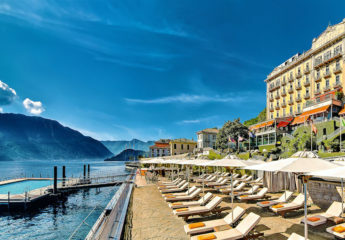 ‘Dorchester Collection’ is synonymous with grand, iconic hotels in some of the world’s most desirable destinations, with each hotel as stylish and sophisticated as the next. 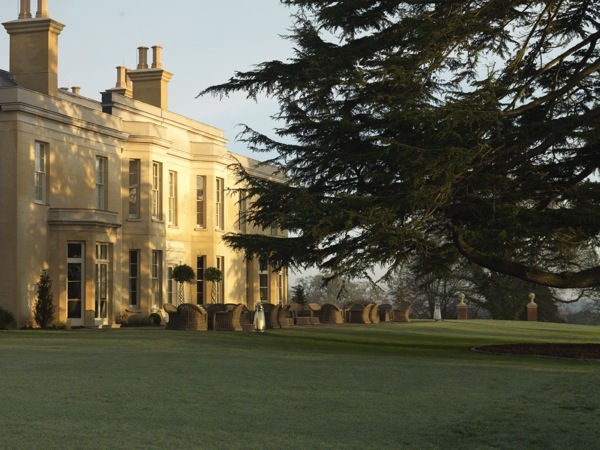 Coworth Park sits on a 240 acre estate of rolling meadows and polo fields in Berkshire near Ascot, less than an hour by car from London and a mere 20 minutes from Heathrow airport. 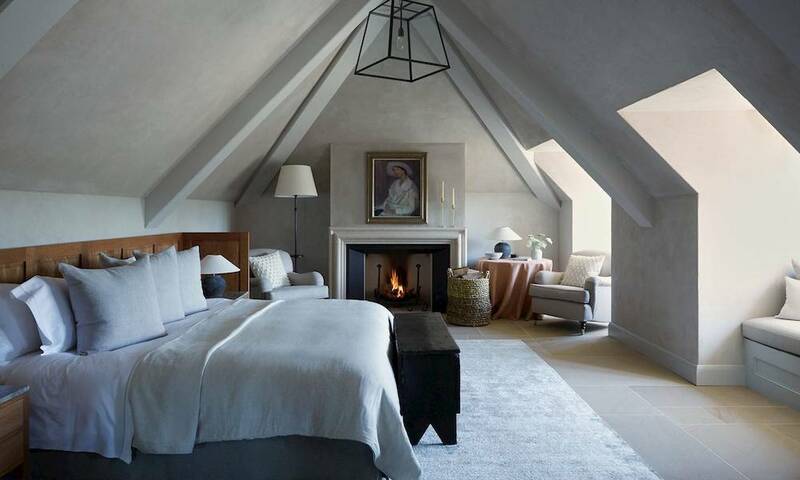 In a clear contrast to its other UK properties (The Dorchester and the recently opened 45 Park Lane), Coworth Park is the epitome of a true country house estate and an ideal weekend getaway from London. 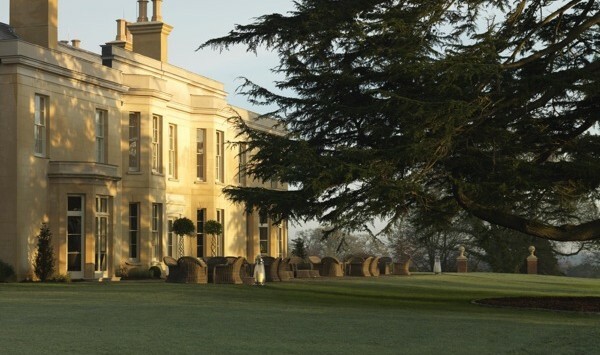 Click to read our full review of Coworth Park. Barely an hour’s drive from London, yet a hundred miles away in your mind, you are greeted by an imposing manor house with the countryside very much at its feet. 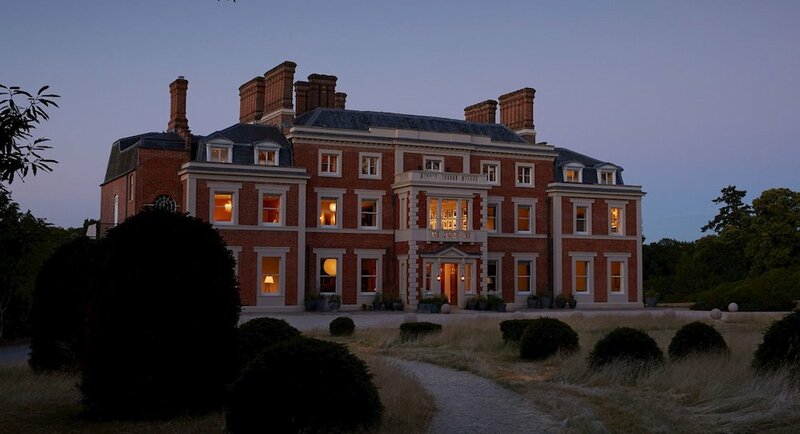 The Four Seasons Hampshire provides everything you might want from a countryside hotel – open fields stretching into the distance with a warm fire to return to, and somewhere to relax, eat and drink like a lord of the manor. 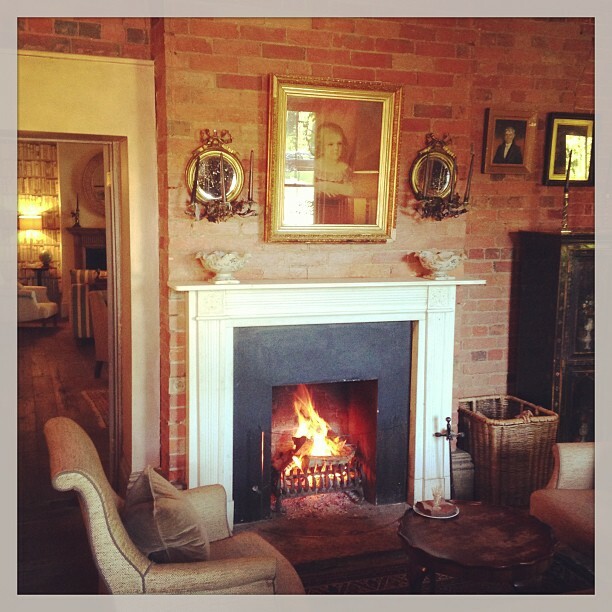 And what a manor to call your own for the night. 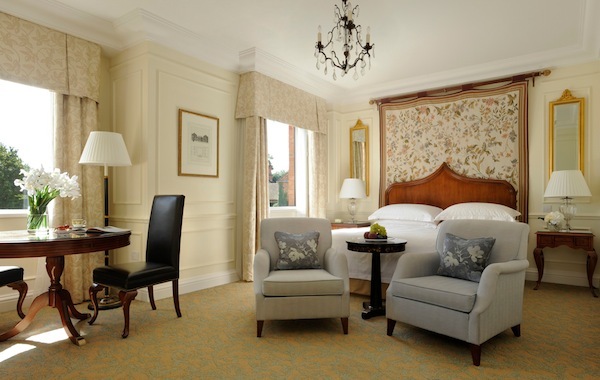 Click for our full review of the Four Seasons Hampshire, one of the best luxury hotels near London. 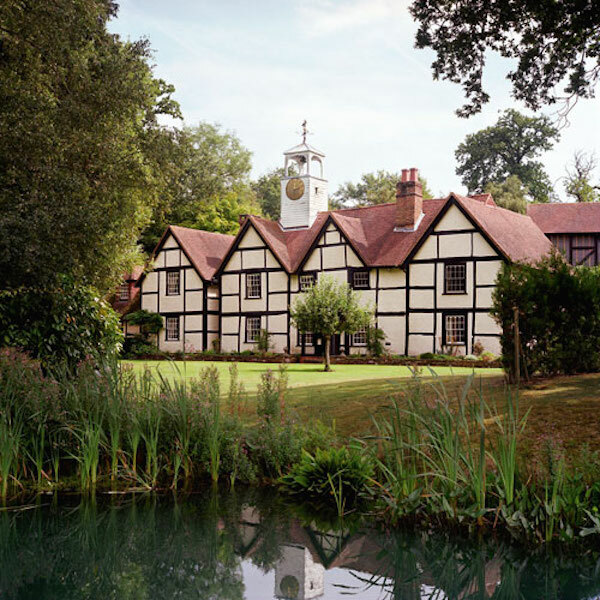 A former 13th-century hunting lodge is now home to Lime Wood, one of the UK’s chicest boutique country house hotels, a mere 2 hours from London, in the New Forest Park. 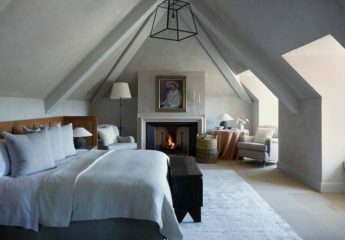 The interiors, from celebrated designer David Collins, involve a modern take on the traditional country house style: effortlessly luxurious, striking a perfect balance between being cool, modern, classic and sophisticated. For a chic, glamorous yet utterly relaxing weekend country break from London, Lime Wood really hits the spot – click to read our full review with additional images of Lime Wood Hotel. The younger sister to Lime Wood, with a similar feeling of effortless luxury, with more of a rustic-chic look, The Pig is a country house hotel that places food at its core, from the meticulous cultivating of ingredients to rearing the livestock to the dishes that arrive at your table. The 26 rooms at The Pig Hotel are divided between the main mansion house and converted stables, centred around the prized walled garden where most of your food is sourced. The Pig is a rather wonderful country house hotel that is suitable for all seasons and will leave you positively snorting with joy. If you enjoyed this post on the best hotels close to London, read our guide to the best luxury hotels in London, the best boutique hotels in London or maybe a review of a stay at The Connaught hotel in Mayfair. Sign up to the Journal here. Emyr is the founder of Bon Vivant and one of the main contributors to the luxury lifestyle and travel blog. Emyr has always had a passion for travel, dining out and trying new places, and you can be sure that if there’s a new restaurant or hotel opening, he’s there at the bar with a glass of champagne. 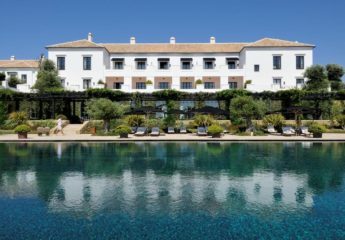 We check out the gorgeous Hotel Finca Cortesin in Casares, less than an hour from Malaga airport. 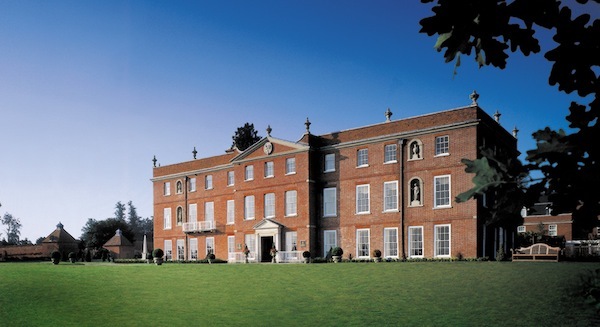 We visit Heckfield Place, a gorgeous country house hotel in Hampshire, just over an hour from London.